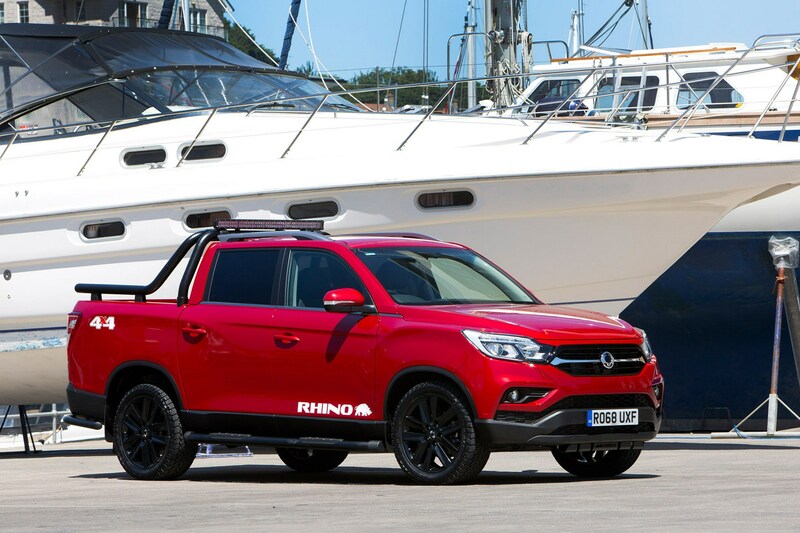 The 2018 SsangYong Musso pickup truck is an all-new vehicle based on the same platform as the South Korean firm’s contemporary Rexton SUV, and represents a dramatic improvement compared with the previous version. 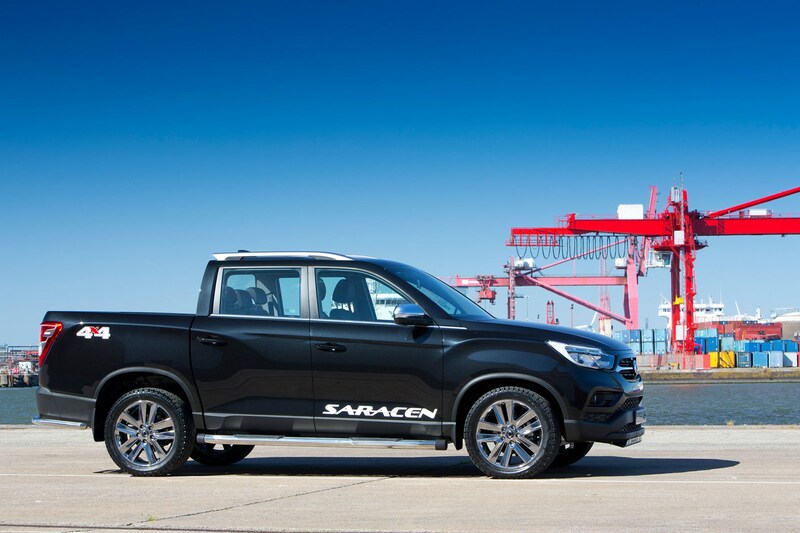 But the real headline here is how little it costs: at launch a base-spec EX model managed to duck under £20,000 (excluding VAT), making it the cheapest new double cab pickup on the market at time of writing, just undercutting the Isuzu D-Max. And you don’t get a bad level of kit for that cash, either, with automatic headlights and wipers, DAB radio, Bluetooth and six airbags all included as standard. What’s more, the new 2018 Musso is a much bigger vehicle, meaning you get a lot of metal for your money. It’s over 5.0 metres long and an imposing thing on the road, even in the context of rival pickups. It remains to be seen whether the longer-still version offered overseas will come to the UK, which has a ginormous 5.3-metre overall length. 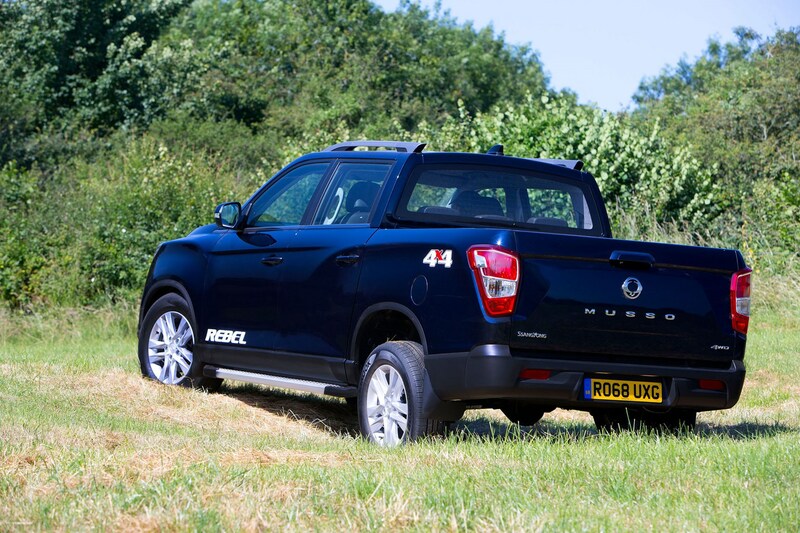 But even the standard Musso has a large cabin for passengers and taller load-area side walls than any other pickup on sale in the UK. 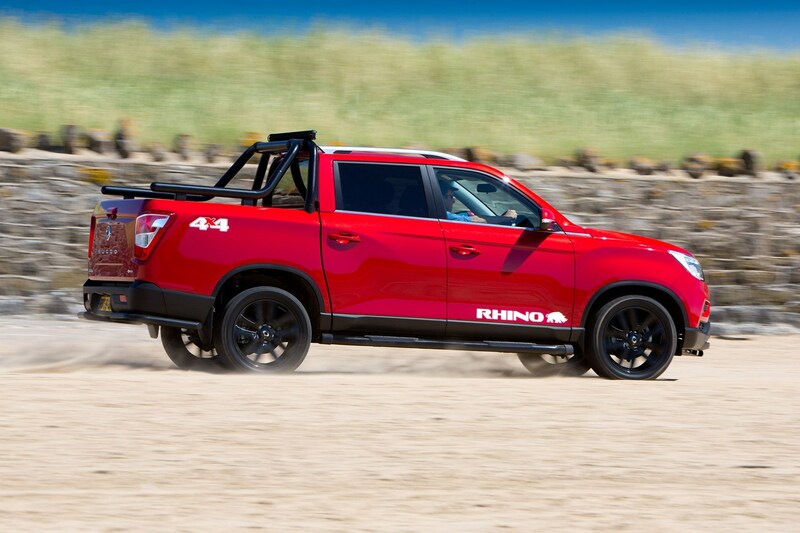 All Mussos (and indeed Rextons) also benefit from a seven-year, 150,000-mile warranty – the longest of any pickup on sale. 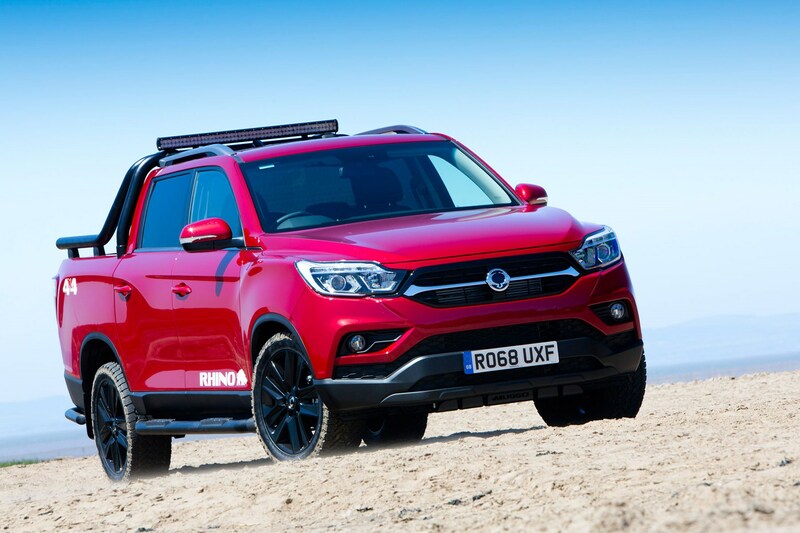 While historically SsangYong has struggled to offer decent rates on its finance deals, new UK CEO Jim Tyrrell told Parkers that it’s something the business is working hard to fix. We’ve got no hard statistics to report just yet, though – the deals were still being finalised during our first chance to drive the car. 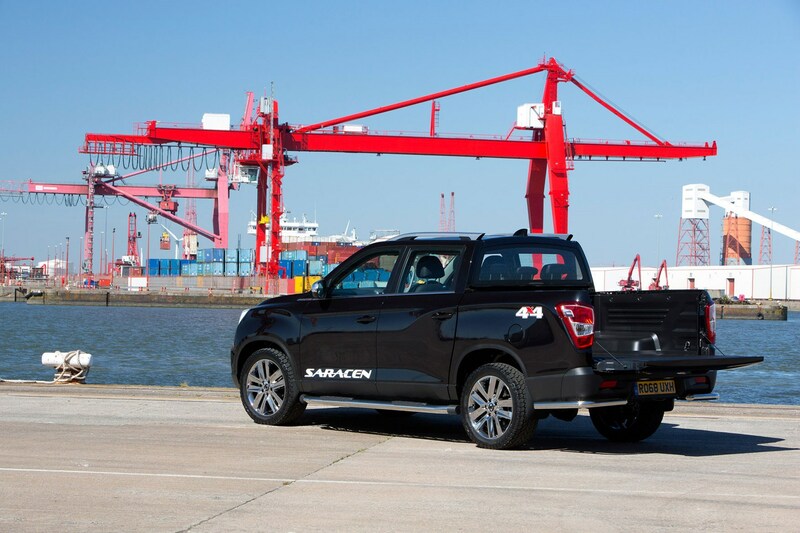 The Musso isn’t a premium pickup, and as such its main competition comes in the form of the Isuzu D-Max – another rugged vehicle with good performance and a low list price. 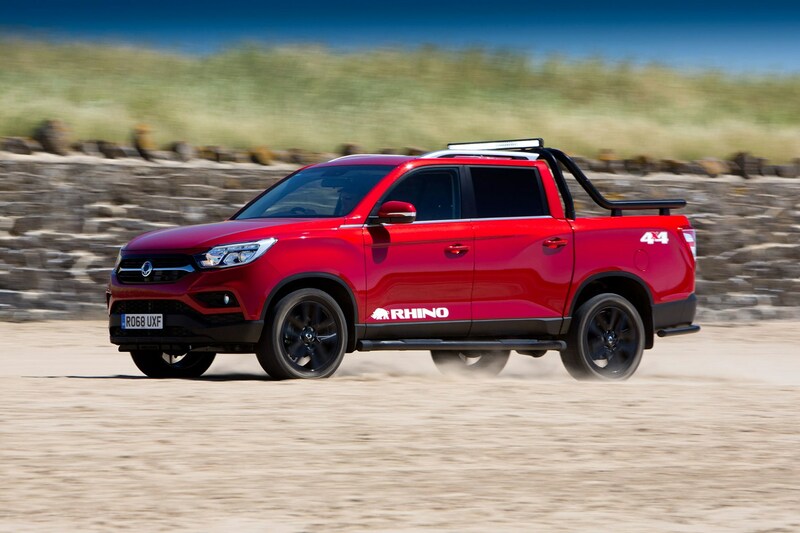 Other rivals include the Mitsubishi L200, another high-value choice, and the all-round impressive Nissan Navara. 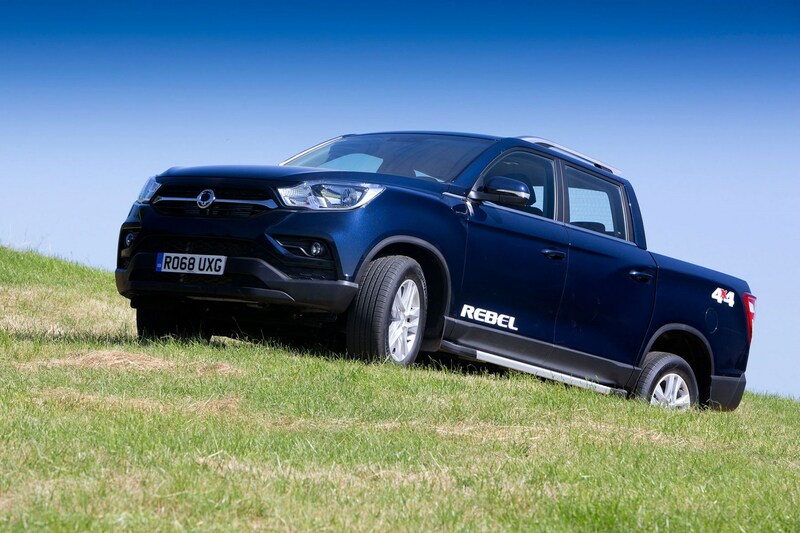 But Toyota’s Hilux and the Ford Ranger will probably be on the shortlist too, thanks to their decent off-road performance and payload capacities. There’s just one engine on offer – a 2.2-litre turbodiesel – and you get a six-speed manual gearbox as standard, with an Aisin six-speed automatic transmission available as an extra-cost option. 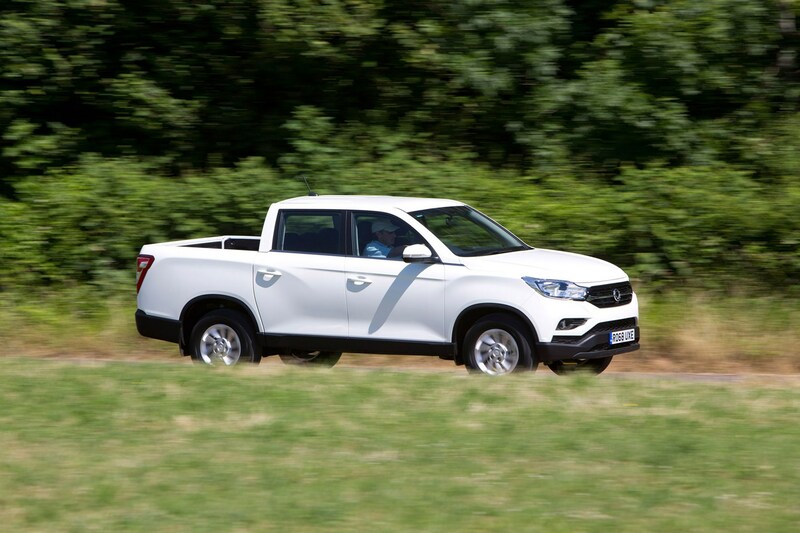 Either way, the Musso has some impressive statistics as a workhorse too, with a 3.2-tonne braked towing weight for the manual car and 3.5 tonnes for the auto. 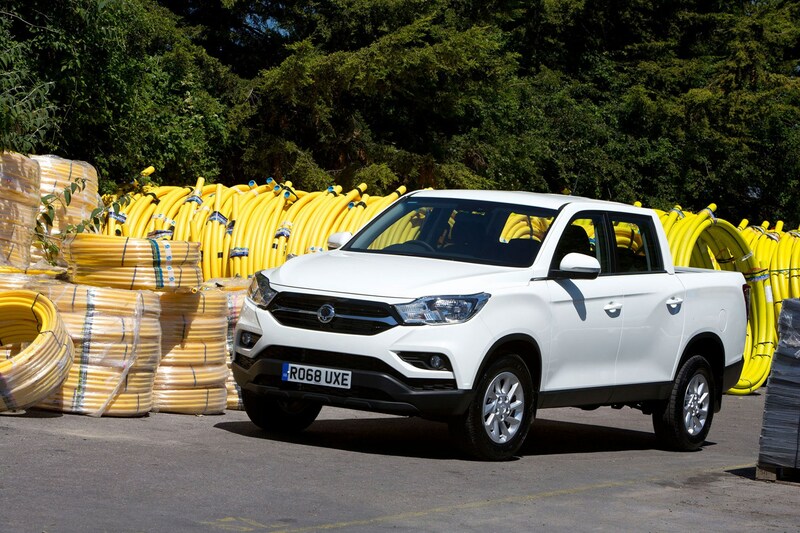 Thanks to its gross train weight (GTW) of 6,450kg it’s also able to carry a load of over a tonne and tow those weights at the same time, which makes it unusually capable for a pickup. The Musso has a switchable four-wheel drive system (though this isn’t for use on the road, only in slippery off-road situations) featuring a low-range gearbox for more extreme terrain. It also has relatively short overhangs and good axle articulation for a pickup, so works well when the going gets tough. Higher-spec models get ‘Grabber’ tyres for better purchase. The chassis is of ladder-frame construction, like all pickups, with the body suspended by eight rubber bushings on top. The Musso’s driving experience isn’t as honed as some rivals’, however, and we had to question the fitment of some accessories that appear to offer far more fashion than they do function – such as the sidesteps installed on most Mussos that don’t feel strong enough to take a fully grown adult’s weight. But the cabin, which is very closely related to the Rexton, impressed us both with its fit and finish and its lack of noise, vibration and general harshness – a significant boon in an area where pickups typically struggle. The Musso’s charm is in its excellent value for money. It offers genuine capability, high levels of kit and a car-like cabin, alongside that class-leading seven-year warranty and low list price. The way it drives on-road could certainly be better, though, and it remains to be seen whether the company will be able to offer competitive leasing and PCP packages. 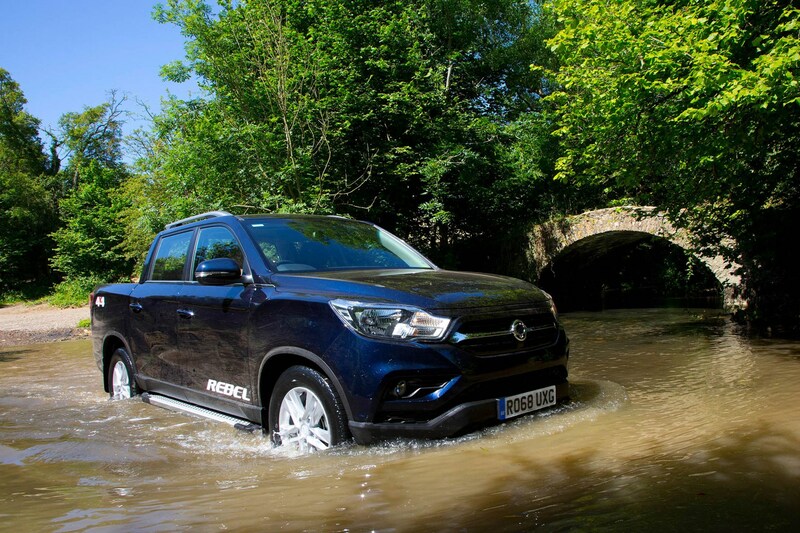 SsangYong says the Musso drives like an SUV, but our initial experience contradicted that. Sure, it uses the very same ladder-frame chassis and body-on-frame construction as the Rexton, employing eight rubber mounts to connect the two elements, but the rear suspension springs are too stiff. This is a result of the Musso’s UK-specific tuning, which allows its gross train weight to be so impressively high. Sadly, the penalty for this is some unpredictability when cornering, where a bump can cause the rear end to skip, which feels somewhat disconcerting at speed. 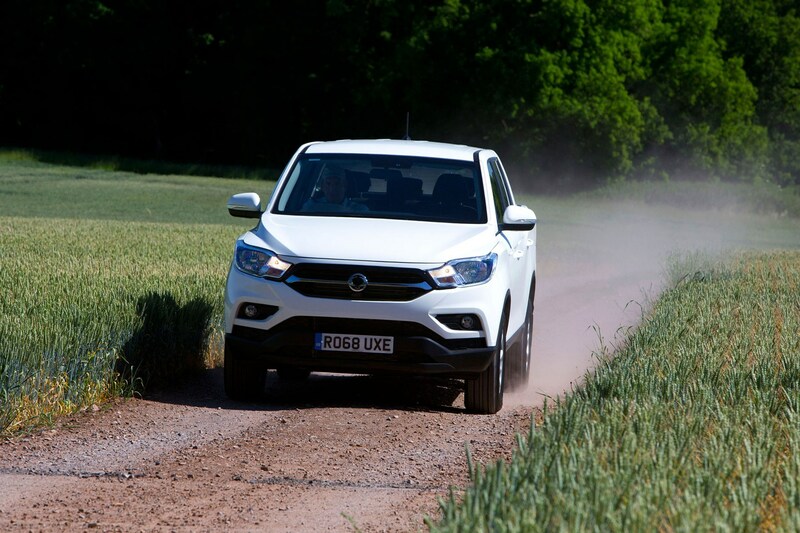 SsangYong’s UK importer has already suggested it is planning to revise the rear suspension settings to improve on this; we’ll update this review as soon as we can get access to any revisions. As it stands, the Musso has a firm unladen ride for similar reasons, but putting load in the back certainly helps iron out some of the choppiness. With 700kg of bricks behind the cab, engine performance was almost unaffected, but the handling was far better. 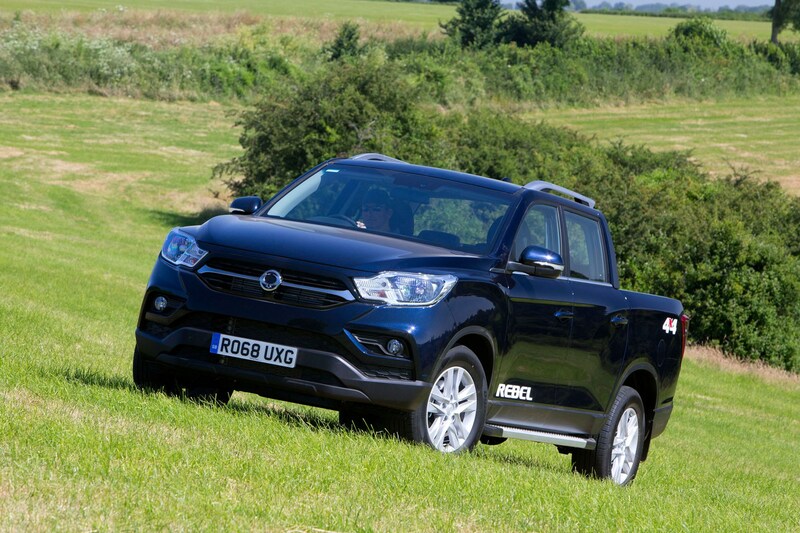 We also thought the feel of the steering was well-judged, while the turning circle is on par with most other pickups – which is to say worse than a passenger car but still manageable in most multi-storey car parks. 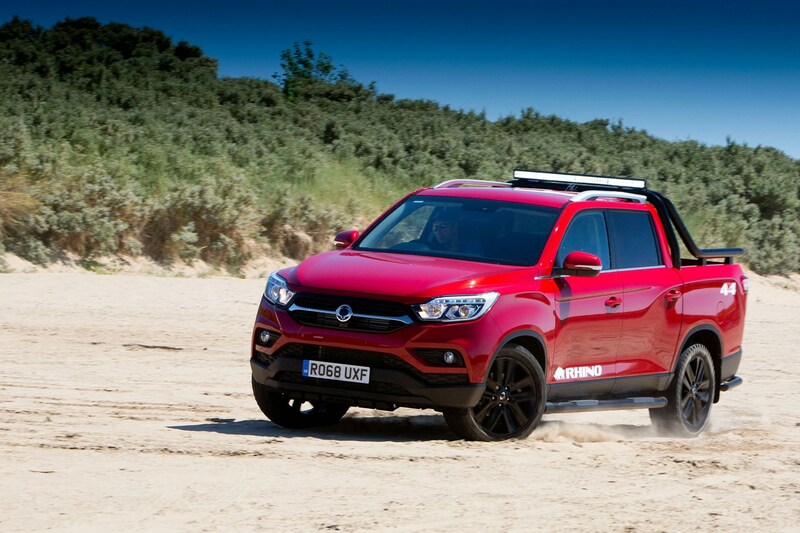 Off-road performance is a much stronger area for the Musso. There’s a decent amount of ground clearance, which is a great start, and higher-spec models get extra underbody cladding too. As standard the four-wheel drive system defaults to sending power to the back wheels only, which is for road driving, but if you’re heading onto trickier terrain then you’ll need to stop, hold the brake pedal, shift the gearlever to neutral, turn the rotary selector to 4WD High and wait for the icon on the dash to flash six times. After that, you’ll have engine output sent to all four wheels. This is enough for most situations, but for really challenging stuff you’ll need to do the same again, but switching to 4WD Low, which as the name suggests engages the low-range gearbox. You’ll now be able to climb seriously steep hills. Also installed is a hill-descent control feature, which at the touch of a button to the right of the steering wheel will take care of keeping speeds down to a crawl when descending steep slopes. You simply lift your feet off the pedals and take care of the steering. It’s a fairly limited system, as with most pickups, so you can’t adjust the speed it restricts you to; for UK cars, SsangYong seems to have removed the beep that tells you when it’s activating, a feature we rather liked on the Korean-market version we sampled earlier in 2018. It produces 181hp and 400Nm between 1,400 and 2,800rpm – decent figures, especially given the Musso’s budget-conscious cost. 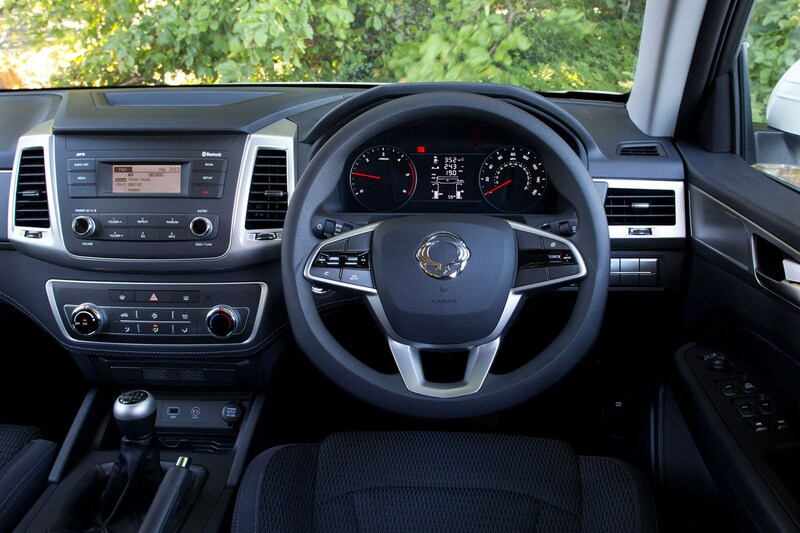 Its sound is also well insulated from the cabin, which helps the SsangYong feel robustly built. 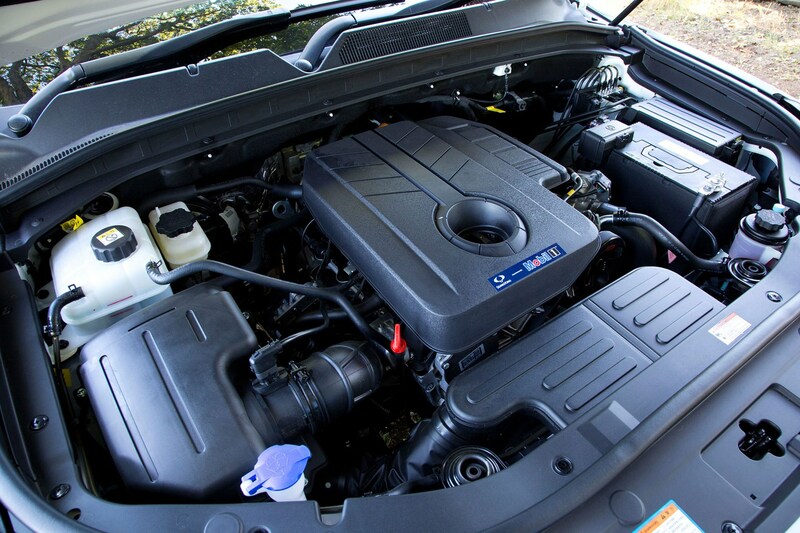 The engine comes with a six-speed manual gearbox as standard. This has a long, notchy shifting action, and isn’t particularly nice to operate. 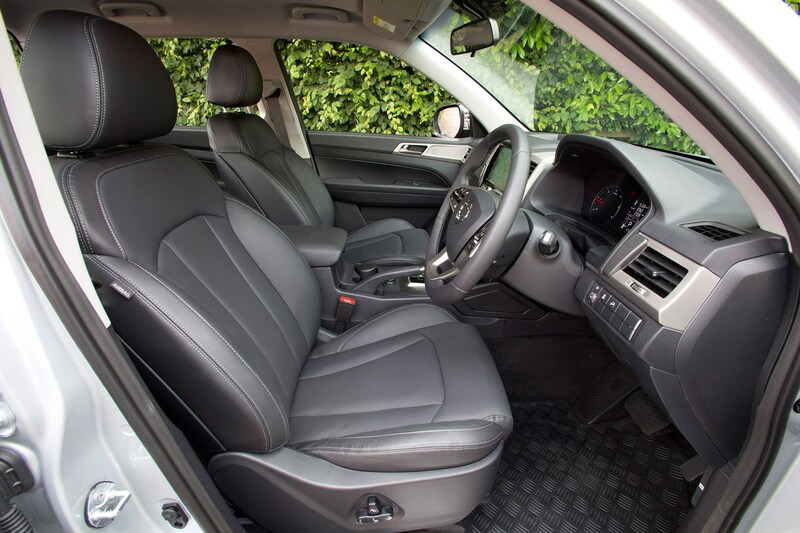 As such, the Musso is far better with the optional six-speed Aisin automatic gearbox, which replaces the more expensive seven-speed Mercedes-Benz auto fitted in the Rexton. You won’t notice much of a penalty in the way Musso drives relative to its SUV sibling, as neither transmission is particularly quick-shifting. The Musso’s six-speed is smooth enough, however, and doesn’t feel demonstrably worse than any other torque convertor auto in the pickup market. Our only gripe is that if you want to manually select a gear you have to use a tiny thumb switch on the side of the automatic transmission lever. It would be so much easier with paddleshifters, or the more typical lever movement of other pickups. The Musso’s cabin is very obviously similar to the Rexton’s, with many of the same fixtures and fittings and multimedia infotainment systems. 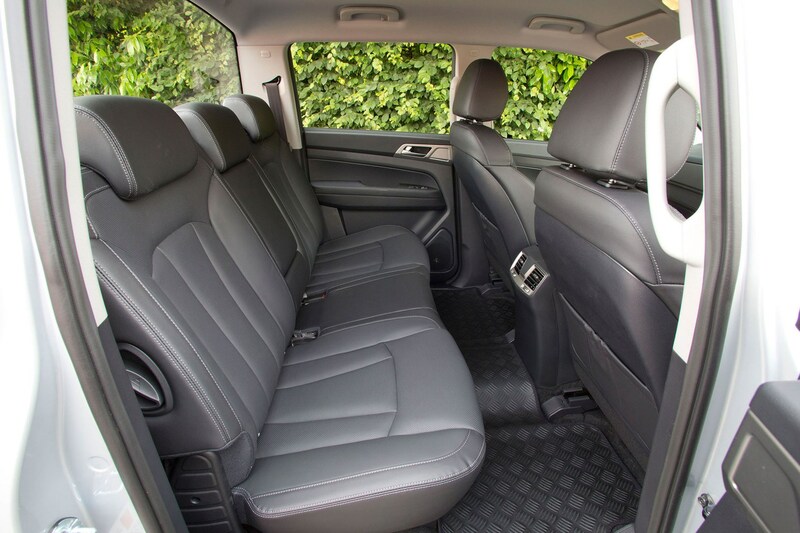 That isn’t to say it’s a bad place to be; the Rexton won almost universal acclaim for its dramatically improved cabin when compared with the previous version. We found the materials used in the Musso of a high quality in the main, but it’s certainly not as neat as a VW Amarok or Mercedes X-Class inside. Scratch around a bit and you’ll soon spot where costs have been cut. The Nappa leather on higher trims helps balance this out, though. 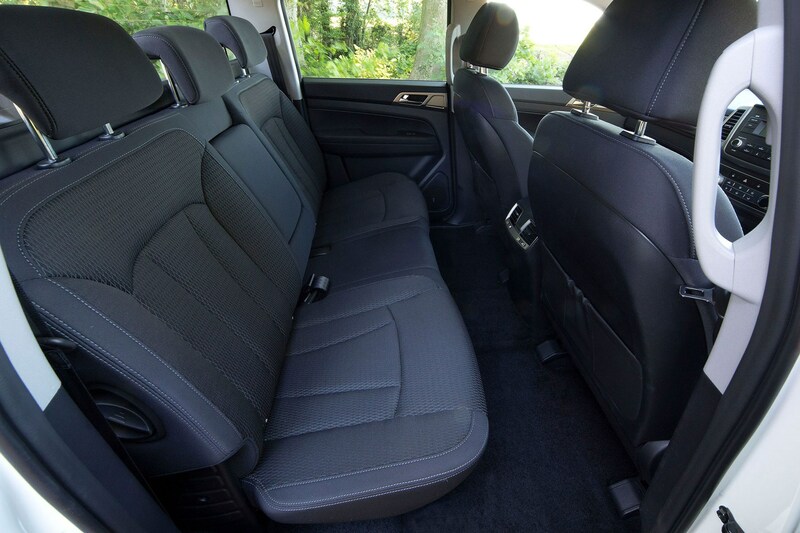 The rear seats are worthy of note because they’re seriously spacious. There’s genuinely room for five adults in the Musso, so commercial users and families will be happy. 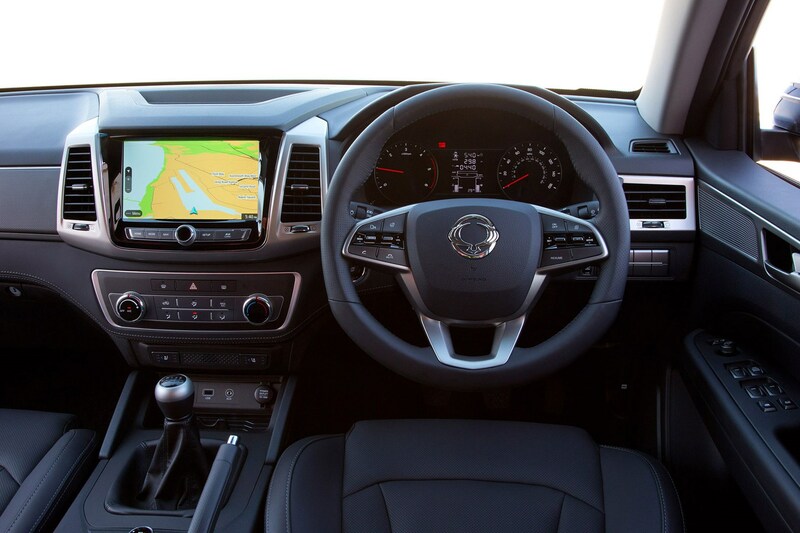 You can also have them heated on high-spec models, along with the steering wheel. An armrest between the outer back seats has a pair of cupholders, with two more in the front cabin. The glovebox is a decent size and there are some door pockets to hold smaller items. All versions barring the entry-level Musso (below) get an 8.0-inch touchscreen, while top-spec versions get a 9.2-inch touchscreen with TomTom sat-nav mapping (above). We’ve only tried the latter so far, but were impressed with the responsiveness of the screen to fingertip inputs. The first thing to note here is that the Musso is seriously cheap to buy outright in its base EX spec, arriving with a launch price below £20,000. That’s a lot of pickup for your pound. The seven-year, 150,000-mile warranty is a nice touch here too, adding extra value for those buying rather than leasing. It’s the longest manufacturer warranty on any pickup. The Musso isn’t blessed with particularly good fuel economy, but this is a very heavy, un-aerodynamic pickup after all. The claimed figure of 35.8mpg for the manual drops to 32.9mpg if you’ve gone for the automatic; during a mixed drive of a few hours in the real world we achieved just 26mpg with the latter. Insurance groups range between 40 for the EX model up to 42 for a Rhino, which is very much on the high side. 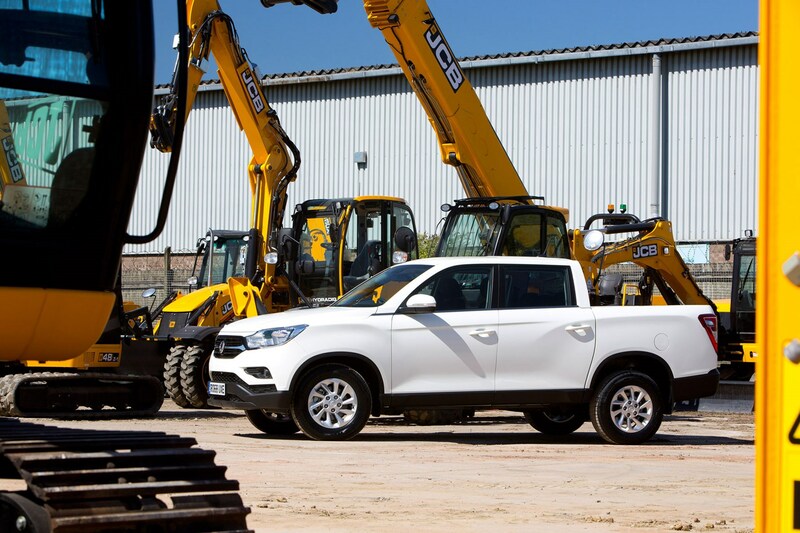 Another drawback, depending on your location, is that SsangYong only has 60 dealers nationwide. They’re usually rural, and there are plans to expand this to around 90, but for now you may have to travel a bit. Of course, the major advantage of a pickup over an SUV as a business car is the tax relief they qualify for. It’s a flat rate for both private and company car drivers, and will almost certainly work out cheaper than a similarly appointed SUV. This is fortunate, because if the tax was based on CO2 like cars are, the Musso would be seriously costly – its lowest CO2 output is 211g/km. 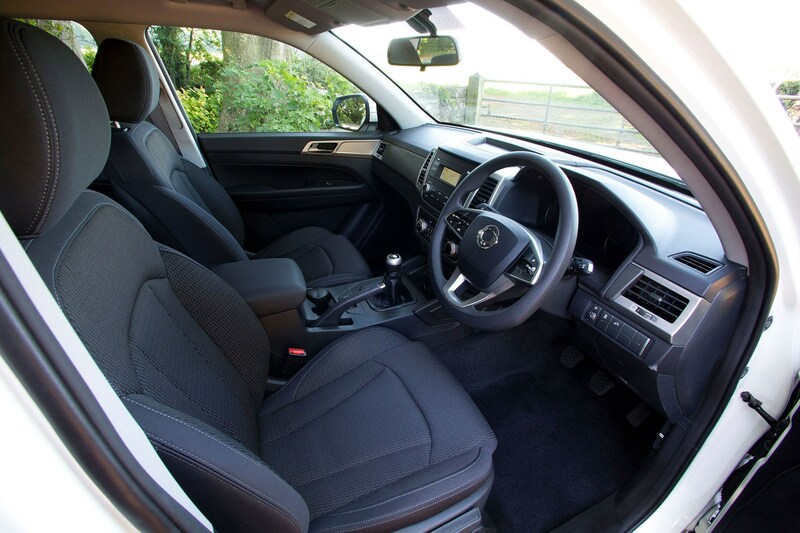 Optional extras are limited to the automatic gearbox and metallic paint. This Musso is an all-new vehicle, but it’s based very heavily on the Rexton. It’s with that in mind that we’re confident it’ll be a dependable machine. SsangYong has a reputation for robust build quality and there’s no reason to expect anything too alarming here. Our only slight concern isn’t with the vehicle itself, but some of the accessories that are bolted on when it reaches the UK. Specifically it’s the sidesteps you get on all but base EX-spec Mussos. These are apparently rated to carry 85kg, but they felt incredibly flimsy and flexed considerably when leaned on with just one leg. We certainly wouldn’t feel confident using them to step up into what is a particularly tall cabin, so have to question their usefulness past added aesthetic appeal. 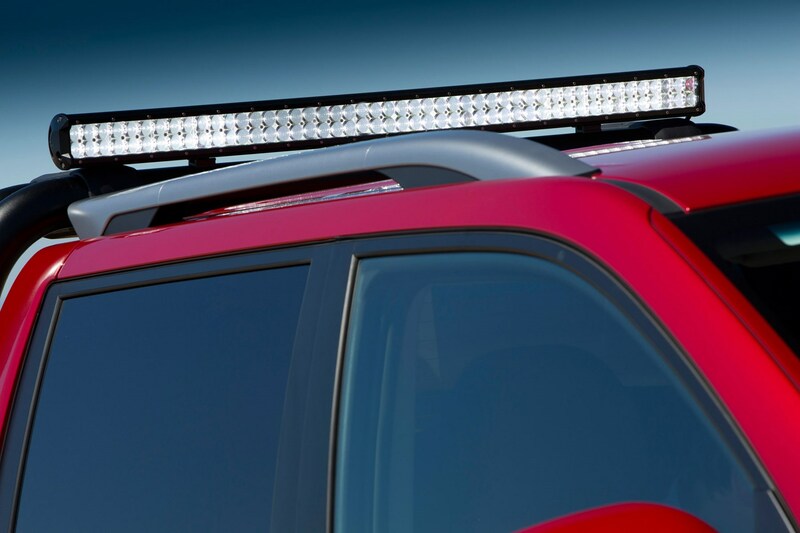 The lightbar on launch edition Rhino cars is another example – it’s positioned towards the rear of the cab, so won’t actually illuminate the area in front of the car that such lights usually help with. The Musso’s safety kit is best described as rudimentary in the modern age, and it’s certainly not on the same level as the (admittedly far more expensive) best pickups available. There is no Euro NCAP crash-test rating yet, but with few active safety aids it’s unlikely to score particularly highly. 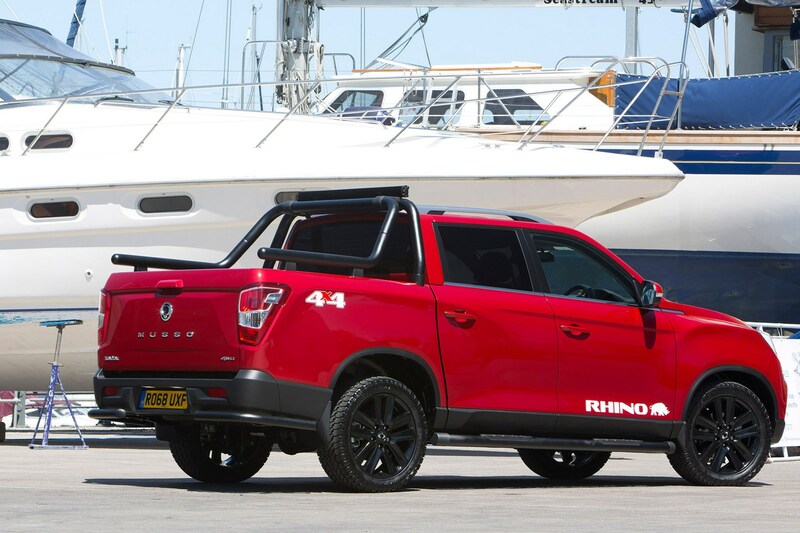 Moving up to the Rebel trim level nets a reversing camera, while Saracen models get cruise control and higher-spec headlights; top-spec Rhino includes tinted rear privacy glass. 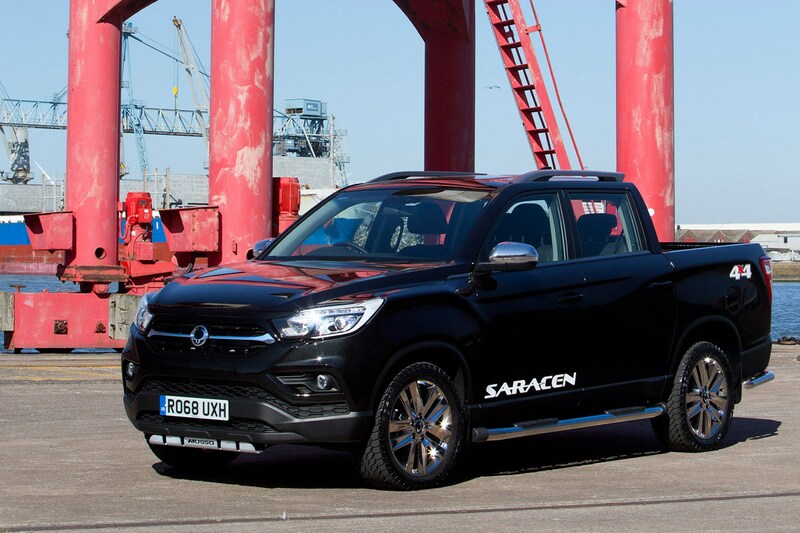 Which Ssangyong Musso is best for me?